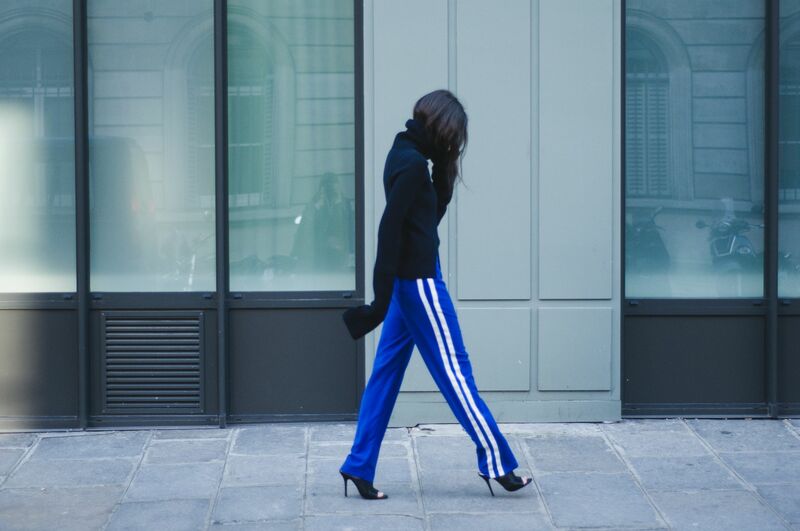 Les "sporty pants" sont de retour. Et après avoir vu les images du dernier défilé Lacoste à New York, j'y crois vraiment. Je porte ici un pantalon Baum und Pferdgarten associé à un pull Charlie May (manches longues garanties). The "diagonal athletic stripes" are back! For real. Have you guys read the review of Tim Blanks about the Lacoste fall 2015 show? 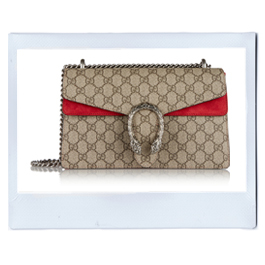 And have you seen the collection? The blue sporty pants I'm wearing here is from Baum und Pferdgarten. Plus this amazing Charlie May jumper. Oooh I love this outfit. Stripes are back as is the sportswear focus as people like Rihanna becomes creative director for Adidas. I have been a fan of that brand since they had the genius idea to partner with Yohji Yamamoto. Stripes and more stripes. Ohh WOW I love this outfit!! The trousers look amaazing and that knit is incredible!